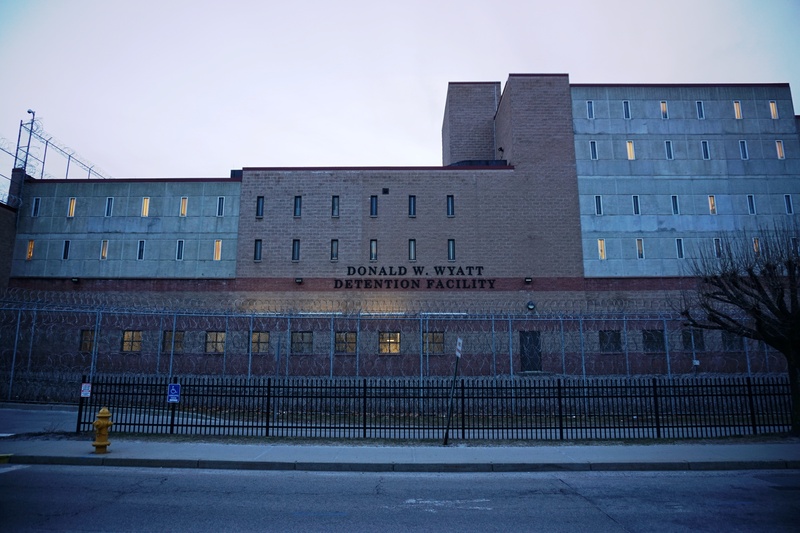 Elected officials in Central Falls are calling for the immediate closure of the privately operated detention center in the city. This comes in the wake of the news that the Wyatt Detention Facility has begun housing detainees for federal Immigration and Customs Enforcement, or ICE, in March. Central Falls Mayor James Diossa said the agreement with ICE was made without notifying city officials. “Therefore I’m calling on the board of the Wyatt Detention Center, to discuss the circumstances under which this agreement was made, and most importantly, immediately terminate this contract with ICE,” Diossa said. The Wyatt Detention Center is Rhode Island’s only privately-run quasi-public detention facility. The jail was opened in the mid-1990s. At the time, Diossa said, the facility was seen as a way to inject new revenue into a city dealing with financial problems. The Wyatt, as it’s called, contracts with different agencies in need of a place to hold people in custody. That includes the United States Marshal Service, and the United States Navy. The facility held ICE detainees, until 2008 after a detainee died in Wyatt custody. The detention center resumed accepting ICE detainees March 10th of this year. In a statement, Wyatt officials say the city was notified three months prior to the arrival of ICE detainees, and that it has no role in national immigration policy. During a press conference mayor Diossa, the City Council President, and one state representative spoke of philosophical differences between the city’s residents and what they believe the Wyatt stands for. They say residents are unhappy and uncomfortable with a facility that houses ICE detainees in their city. Central Falls, a city of about 19,000 is home to many undocumented residents and Latino immigrants. Its leaders have openly criticized President Donald Trump’s administration and new federal immigration policies. Diossa also alleges that the facility has failed to make required payments to the city, as part of the agreement between the Wyatt and the municipality. In a statement, a spokesperson for Wyatt said that the facility has not breached contract with the city. According to the statement, the facility has been paying the city according to an agreement laid out in a 2015 to avoid bankruptcy.